2.4Ghz Twin Stick Radio with Receiver and Steering Servo. 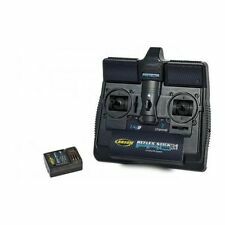 Perkins Planet TS2 2 2.4GHz 2-Channel Stick Transmitter with 2 Aux Channels with 6-channel Rx. This radio was developed specially by J Perkins for the UK market, one of the last bastions of surface stick radios, giving an inexpensive 2.4GHz radio system that's perfect for boats, cars, trains and many more. Tamiya Compatible. Carson 707131 RC Transmiter. Reflex Stick Pro 3.1. Official Authorised UK Carson Distributor . Servo Reverse for both Channels. Servo Included. Complete with 4 Channel receiver. All RC Two Channel. Part Number: C707131. Servo reverse for both channels (change of running direction). Two continuously variable, fully proportional channels. Genuine Tamiya parts. 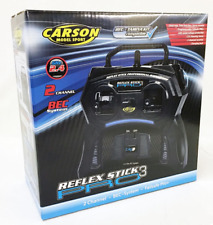 (Carson Reflex Stick II 2.4Ghz 6 Channel Transmitter. Carson 6 Channel 2.4GHz radio system ideal for use with Tamiya 1/16 tanks & 1/14 tractor trucks. Carson Reflex Stick II 2.4Ghz Receiver. Charging socket with centre positive). 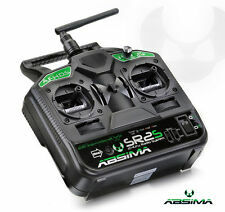 Absima's SR2S is the perfect choice for hobby level R/C drivers. No matter if it's car or boat! Made for pure driving pleasure! Radio Specification Trim function. Weight: 575g. Weight: 10g. 3-channel receiver "R3FS". Dia 8mm/Length 28mm/ Thread M3. Following the end of the sale. It is in your best interests to. We will not be responsible for. problem, we'll do our best to solve it. FASTRAX STICK TRANSMITTER BAG. View Our Categories. J Perkins Planet TS2 2 2.4GHz 2-Channel Stick Transmitter with 2 Aux Channels with 6-channel Rx. This radio was developed specially by J Perkins for the UK market, one of the last bastions of surface stick radios, giving an inexpensive 2.4GHz radio system that's perfect for boats, cars, trains and many more. The TS2 2 stick transmitter (Tx) is a simple-to-use versatile 4-channel unit with two stick channels and two auxiliary channels. It's perfect for beginners to boats, cars, trains and many more. 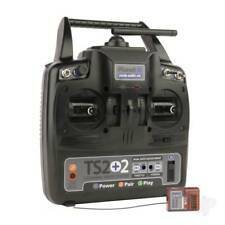 Planet TS2 2 2.4GHz 2-Channel Stick Transmitter with 2 Aux Channels with 6-channel Rx Features. Now we have the Turnigy 9XR PRO, the next revolution in radio systems! 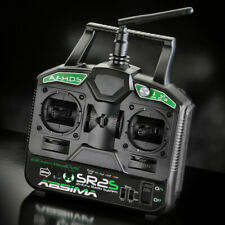 9XR Pro Added Features Turnigy 9XR PRO Transmitter (Mode 2 – Throttle on Left Stick). 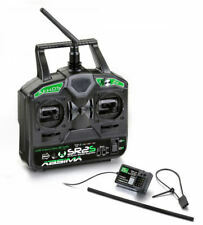 Here for sale a new, unused Turnigy 9RX Pro transmitter. FASTRAX TRANSMITTER MUFF-STICK. View Our Categories. Ideal for wheel type transmitters or for stick transmitters especially those that have a long aerial. FASTRAX TRANSMITTER BAG FOR STICK RADIOS. Keep the rain and cold weather at bay when on the drivers stand with these new muffs from Fastrax. Ergonomically designed to suit twin stick radios they feature a pvc window for viewing, velcro fastening at the base, internal fleece lining and embroidered outward facing Fastrax logo. Servo reverse for both channels (change of running direction). dual rate for steering channel (servo ravel limiter). Two continuously variable, fully proportional channels.